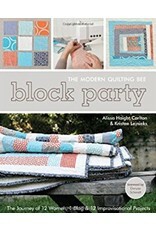 Block Party The Modern Quilting Bee - going batty! It's hip to be square! 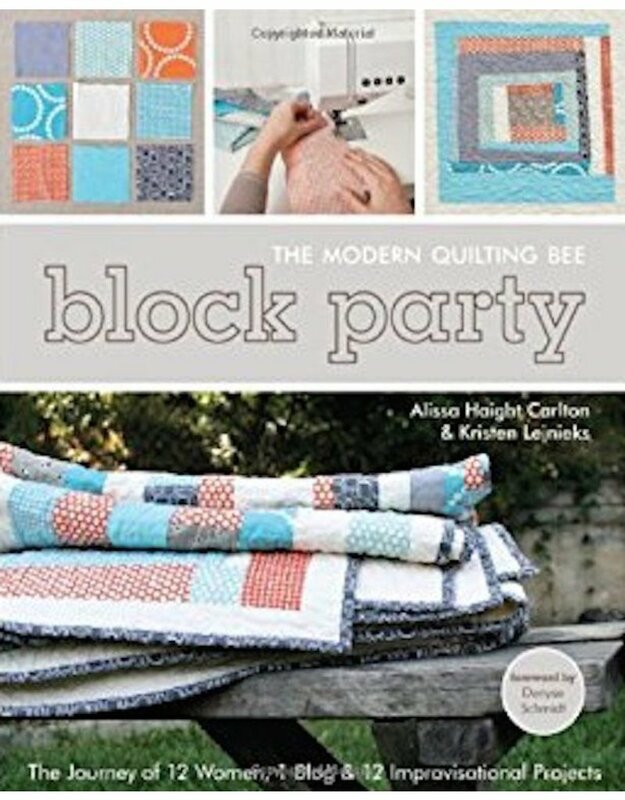 In this inspiring book, quilting mavericks Alissa and Kristen chronicle their year-long "virtual" quilting bee. Twelve chapters (one for each month) showcase the designs of today's leading modern quilters along with easy-to-follow guidelines, so you can reinvent their work in your own signature style. Best of all, with this book in hand, you'll have everything you need to start your own online quilting bee and enjoy collaborating with other fabric lovers around the world.